These powerful single dose remedies are formulated with highly effective active ingredients that provide immediate, visible results. High-tech formulations with trusted active ingredients are designed to heal, regenerate, correct, plump, renew and detox. Complete anti-aging system with a high-performance formula restores radiance and luminosity, leaving the complexion looking firmer and smoother with a more youthful appearance. 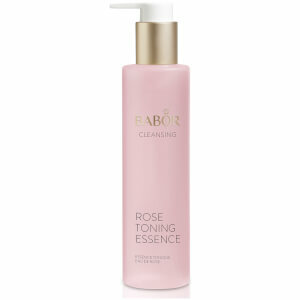 For over six decades BABOR has been a pioneer in luxury professional skincare. Our story began in 1956 when German biochemist, Dr. Michael Babor, developed HY-OL®, a revolutionary oil based cleansing system that changed the way women cleanse and care for their skin. Inspired by Dr. Babor’s ground-breaking research, BABOR continues to create innovative precision formulas, effective products and expert solutions, Made in Germany. Our award-winning formulations combine the best of nature and science for products that promise both an indulgent experience and visible results. While many skin care companies tout themselves as natural, not all can guarantee gentleness and safety. Even formulas derived solely from natural ingredients can cause hypersensitivity reactions when they are not formulated for an optimal pH. In addition, not all natural brands are tested by medical professionals during research and development and fine-tuned to ensure that they are safe. Many also contain mineral oil, which can clog the pores and lead to problems with pimples and blackheads. Among the many natural skin care brands available for you to choose from, BABOR is one of the few that can boast products that are as safe for the skin as they are natural in origin. All of the BABOR skin care products are tested under the supervision of a dermatologist, just the way they have been for the last 50 years since the brand's founding. Optimized for perfect pH levels and completely free of mineral oil, the BABOR skin care products are used at some of the finest spas in the world and are now available for your home skin care regimen. Safe. Natural. Simple. All three words describe the BABOR skin care collection perfectly. When formulating products, the team at BABOR focuses as much on keeping the formulas easy to use as they do making them effective and safe. To simplify product selection, BABOR has created distinct lines of products that provide specific benefits for the health of the skin. 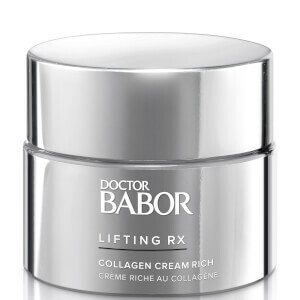 If signs of aging are your primary concern, the Doctor BABOR skin care collection contains products that can help you promote more youthful appearing skin and restore your self-confidence. The line includes Biogen Cellular products that encourage the repair of skin that is damaged due to oxidation or external stress and the Derma Cellular collection for concerns like lost elasticity and skin discoloration. To promote firmer skin as quickly as possible, you can also opt for formulas in the HSR line, a collection of products designed to firm the eyes, face and dÃ©colletage. Women with exceptionally sensitive skin may require more than just general natural products to keep reactions to a minimum. That's why BABOR offers the Baborganics collection. This range of skin care formulas contains only 100 percent certified organic ingredients, meaning that they are free of even traces of chemicals. Natural, truly safe skincare delivered in simple-to-use forms is waiting for you to discover. Simply choose the ideal BABOR line for your needs and select the products necessary to form your daily regimen. Start your shopping now and design the ideal routine to beautify your skin the natural way. Protecting the skin and maintaining its natural state of being is a task that involves continual beauty care and a wide range of skin-friendly solutions. Offering skincare formulas based in holistic concepts and more than 50 years of intensive research, the full line of BABOR Products utilize the finest of ingredients, chosen for their high performing capabilities and exceptional purity. If you browse through the available listing of BABOR Products, you will discover nearly every possible type of skincare product including cleansers, day creams, night moisturizers, eye products, toners, anti-aging solutions, and treatments. Whether you prefer gels, lotions, fluids, or creams, you should be able to find what you are searching for among the full array of BABOR Products. Each formula provides a solution containing quality ingredients chosen for a specific skincare need. Boost your skincare regimen with the selection of one or more beauty products from this line. As you mature, your skin begins to undergo a few changes, many of which are not pleasant or desirable. In order to restore your dermal vitality, you may want to indulge in the benefit of the rich formulas offered by the full line of BABOR Products. 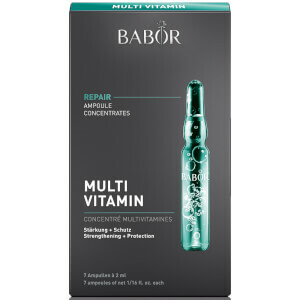 Offering a powerful complex of concentrated vitamins, BABOR Multi Active Vitamin Fluid enhances your skin's structure, repair its tissue, correct uneven skin tone, and restore its elasticity. Delivering ProVitamin B5, vitamin E, and vitamin A directly to your skin, this silky solution strengthens your skin, while stimulating and improving its vitality. Along with all of this rejuvenation, your skin also receives protection against the damage created by free radicals. Stimulate new skin cell growth throughout the quiet hours of the night simply by using the rich formula of BABOR Vita Balance Night Cream. Created for those individuals suffering from dry skin, this creamy formula infuses fresh moisture into your skin, while also regulating lipid levels. Natural active ingredients and the ground-breaking Deep Moist Complex work together to enrich your skin's supple nature with renewed vitality. For smoother skin and a holistic lifting effect that recreates the eye zone, try the highly effective formula of BABOR HSR Lifting Extra Firming Eye Cream. This innovative solution battles wrinkling and the loss of elasticity with three high performing ingredients. The inclusion of Glyco-Stop prevents the collagen fibers from undergoing non-enzymatic glycosylation (the development of tougher, inflexible skin that is prone to wrinkling). A micro-lifting capability is delivered by Liftolution, an ingredient that actively works on the surface of the skin. Collagen fibers are stimulated by Multitendyne.